Hamilton beach coffee makers came from the same names company. Hamilton Beach or Proctor-Silex Inc. is one of the leading producers of different household equipment or appliances, from blenders to coffee makers, to toasters and to irons. Hamilton Beach introduces three models of their product. These three Hamilton Beach coffee makers are the Hamilton Beach 42115 3-in-1, Hamilton Beach 47665 BrewStation Plus 12-cup, and the Hamilton Beach BrewStation Deluxe Coffee maker. Hamilton Beach 42115 3-in-1 is capable of making not only coffee but also hot chocolate and tea. 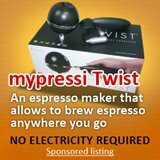 This machine is designed as a single serve coffee machine wherein it can brew a cup of hot beverages in a minute. Hamilton 42115 can brew coffee grounds and tea bags. 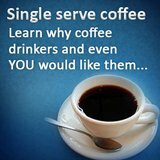 It can also prepare hot water for you to use in your hot drinks, soups, and cereals. Its 14 ounce water reservoir is removable for easy cleaning too. The machine also has a permanent filter with pod adaptor. The highlight of Hamilton Beach 42115 3-in-1 is that you can purchase it for as low as $34 in other retailers. As the name implies, this machine is named the BrewStation due to the fact that the use of “pot” is not required anymore. Its 12-cup insulated coffee container can maintain the temperature and helps remain the coffee fresh and hot. The good thing about 47665 BrewStation is that you can program it easily and it has a 2 hour auto shut-off. The mid-brew dispensing feature of this machine also is good for the people who are rushing. Other features of this machine include a digital timer, removable water reservoir, viewable water level markings, and drip tray. 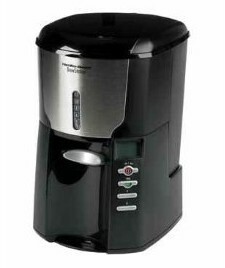 Hamilton Beach 47665 BrewStation Plus 12-cup is powered by 975 watts and has a dimension of 6” x 8” x 17”. Hamilton Beach BrewStation Deluxe Coffee maker is capable of making up to 12 cups of coffee dispensing the coffee cup after cup. The added value of Hamilton Beach BrewStation Deluxe Coffee maker is its 4 brewing modes. These four modes includes Normal, Decaf, Flavor and 1-4 cups. This machine has a one-hand dispensing that allows the user not to pour the coffee on the cup and avoid spillage also. Like the Hamilton 47665, this machine also has a programmable timer and an auto shut-off that is adjustable. Other attributes of this coffee maker are as follows: gentle warming heater, gold-tone coffee filter, and a water filter too. 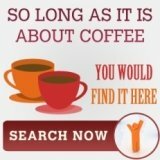 These three models of Hamilton Beach coffee makers are very popular because of their interesting and unique features. 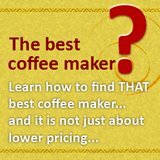 these machines are truly a must-have coffee makers for folks that loves good coffee.